Lately I have small obsession with different styles of jeans. I was always a Jamie's kinda gal and I still am, but spicing up those skinny black jeans with something else for a change is kind of fun. That's why I went for almost the opposite of those tight skinnies: straight jeans. Now straight jeans are a bit like Mom jeans in the way that they are a looser, but straight jeans actually look good on me and Mom jeans don't. The waist is way too big and my hips don't fit; aka the struggle of my life. I so wished I was a Mom jeans person. A thing that most Mom jeans don’t have though is cute tassels at the bottom. I was so excited when I first tried these straight jeans on that I had a lonely dance party in the fitting room just to see the tassels go up and down. It's the little things in life isn't it? Now that I actually own them the dance parties have gone down a bit, but I still love my jeans to bits. The whole casual but trendy feel is something I really like and I don't see my wide leg/straight pants obsession dying down soon. I shot this outfit photo when I was in Copenhagen and oh my god how the weather can change in such a short time. 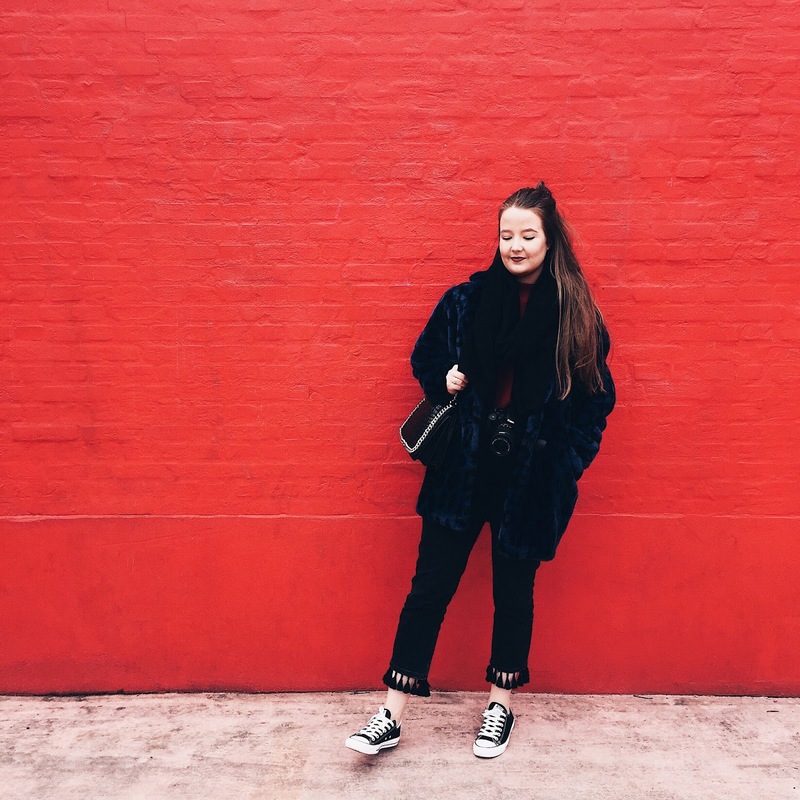 Back then I had to wear a red jumper and big faux fur coat to actually not freeze to death and a few days ago I wore my fluffy slippers with these jeans because it was nice and sunny outside. See these jeans, so versatile as well! Can't wait to pick up another pair of straight jeans and I’m going to give the Mom jeans another go. Maybe this time they will look good? What is your favourite style of jeans? A Huge ColourPop Haul + Giveaway! !